On September 13th, 1951, the Women’s Law Association of Ontario held a luncheon in conjunction with the annual meeting of the Canadian Bar Association. The luncheon was held at Winston’s Theatre Grill, on King Street in Toronto. 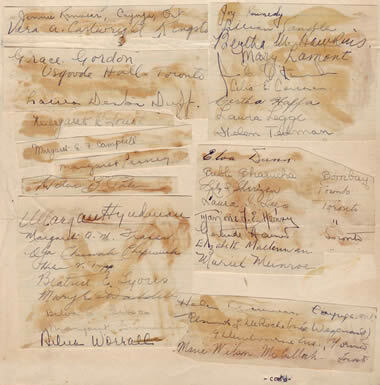 The signatures of those present at the luncheon were pasted into one of the scrapbooks.